After his trip Down Under for the Aussie Millions, Viktor 'Isildur1' Blom was back at the online tables over the weekend, taking on amongst others, Ben 'Bttech86' Tollerene at the cap PLO tables. It looked like Blom would continue his great start to 2014 after taking an early six-figure lead in the contest. The pendulum would swing Tollerene's way though, and after the two hour session at the $500/$1k tables Bttech would book a $222k win. KagomeKagome (up $148,698) and PostflopAction ($147,656) were the weekend's other big winners according to the number crunchers at HighStakesDB.com. Blom topped the list of losers, down $325k, followed almost inevitably by Gus Hansen who dropped almost $154k. The Dane is now down an eye popping $1,524,187 since the start of 2014. 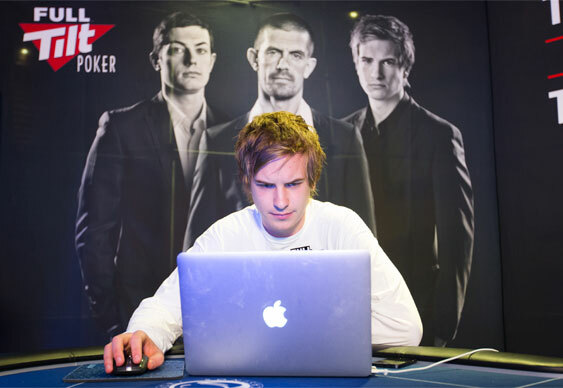 Despite his latest setback, Isildur1 remains the year's biggest winner at the online tables, up $1,884,860 so far.